Every Tuesday around 12 O’clock in the afternoon, my phone starts blowing up with mass tweets discussing the South Florida food trucks. I read things like; “last call for melty goodness” tweeted by CheeseMeMobile, “I’m about to attack you” @JefesOriginal, “Live Music and Fresh Food” # BTTR. For weeks I have been getting these messages and thinking to myself, I want melty goodness and fresh food, but what the heck is BTTR?!? I still don’t know what the abbreviation stands for, but today I found out what BTTR is all about. Basically, it is what I envision heaven will be like for me–about 40 different food/dessert trucks lined up within a very small walking area. And these aren’t your average food trucks, these are gourmet “miniature restaurants,” offering incredible homemade delicacies at a ridiculously reasonable price. 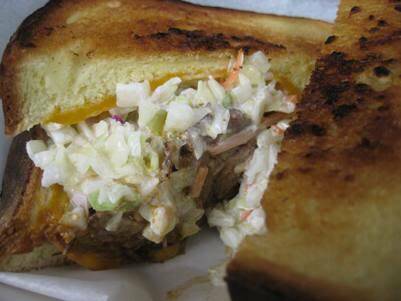 Try the McShane grilled cheese at CheeseMeMobile, which includes Pulled BBQ Pork, Ruthie’s Cole Slaw, Vintage Cheddar Cheese, all pressed on Garlicked Texas Toast. Or perhaps, you want a Chorizo, Chuck, and Sirloin Burger topped with Oaxaca Cheese, Caramelized Onions, Jalapenos, Avocado Sauce, and Red Pepper Mayo (goes by the name of Latin Macho) at LatinBurger. With a million different types of food all within walking distance from one another, anyone and everyone can create their custom fantasy meal. What was mine, you ask? I’ll share with you, gladly! 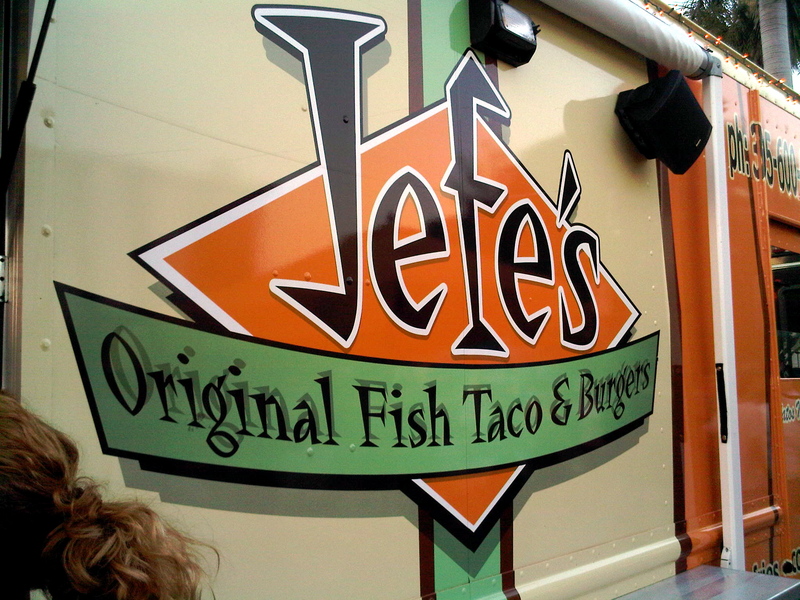 At first I was overwhelmed by the variety of food choices, so I began by going to the only truck I recognized from my Twitter feed–Jefe’s Original. Ensenada Style Fish Tacos, which is beer batter crispy fish, shaved fresh green cabbage, authentic pico de gallo, and house made crema served on a soft fresh corn tortilla. Tacos Carnitas, with seasoned chunks of slow roasted pork, chopped onions and cilantro, and roasted salsa verde served on fresh corn tortilla. 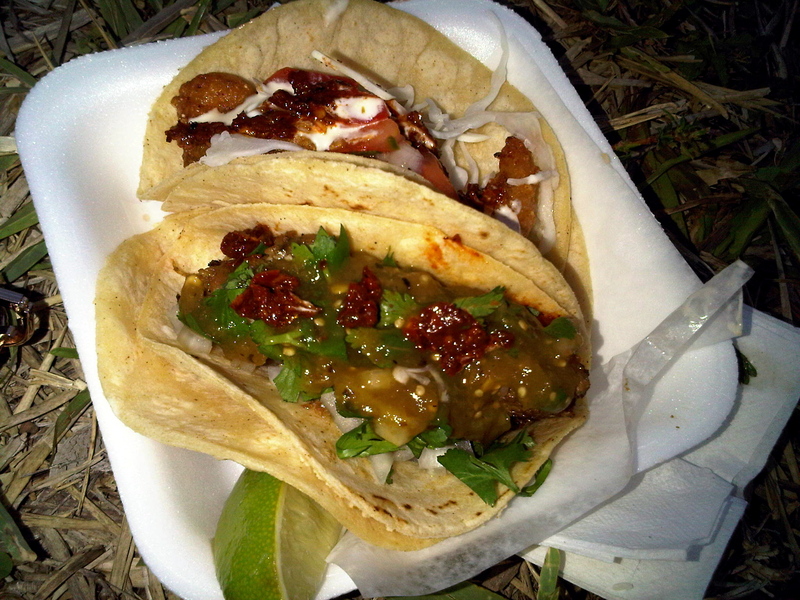 Each taco was served with a wedge of lime and a side of hot sauce (and I mean no-joke hot) for just $2.35. 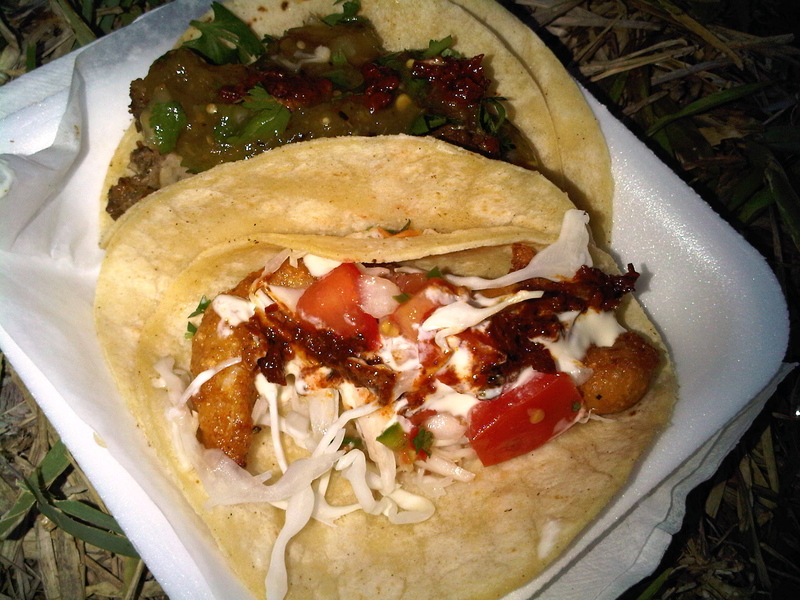 I was absolutely blown away by the fish taco, which had incredible crunch and flavor and no strong fishy taste. I wouldn’t have even known it was fish had I been blind sampling. After devouring my first taco, I moved onto my carnita taco, which had a tough act to follow. It was also good, but not nearly as amazing as the fish one. Moral of the story: savor the unique fish taco experience at Jefe’s and get your carnita fix at Chipotle another day. 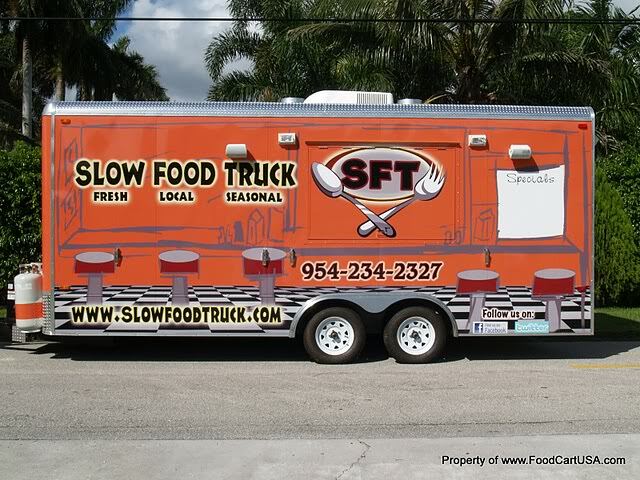 The next truck I stopped at was Slow Food Truck (SFT) because their seasonal and local menu caught my eye. This truck is certainly for carnivores, offering a variety of thick juicy burgers and pulled pork, short rib, and tender chicken sandwiches. 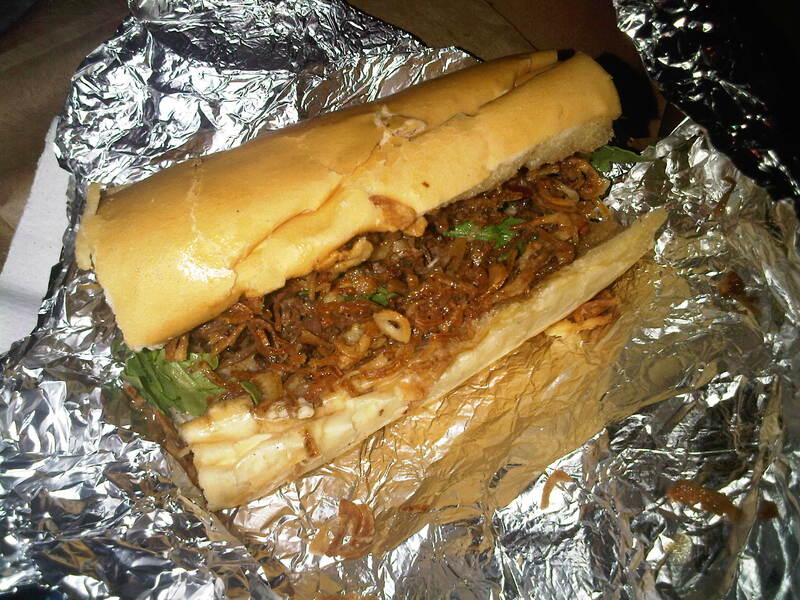 I ordered the Beef Short Rib specialty sandwich, which was braised beef short rib, organic arugala, queso blanco, and crispy fried onions served warm on baguette. Basically, a super sophisticated Philly Cheesesteak, and let me tell you that this sandwich put a whole lot of Philly Cheesesteak places to shame. I rarely enjoy a steak sandwich outside of the 215 area code, and I had not one bad thing to say about this sandwich. In fact, I had not one thing at all to say because I was too busy eating! 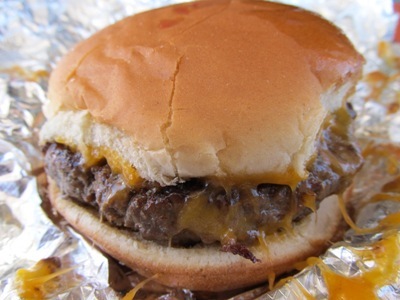 It was perfection from the salty onions to the tender meat to the warm bread….greasy, finger-licking goodness. Ariana also ordered the “Fatty Burger” Special from SFT, which was a ground sirloin patty stuffed with bacon, and topped with cheddar cheese and crispy fried onions. It was one of the most fattening burgers (or shall I say food items period) that I have ever put to my lips, but it was worth every artery-clogging bite that I stole from her! So bad for you, but so good. Next I was ready for some dessert, but I needed something on the lighter side after all that greasy beef. I decided on Italian ice from The Chill Stop, which is an all-natural, handmade, mobile ice company that uses seasonal ingredients and local produce right from the Miami area. 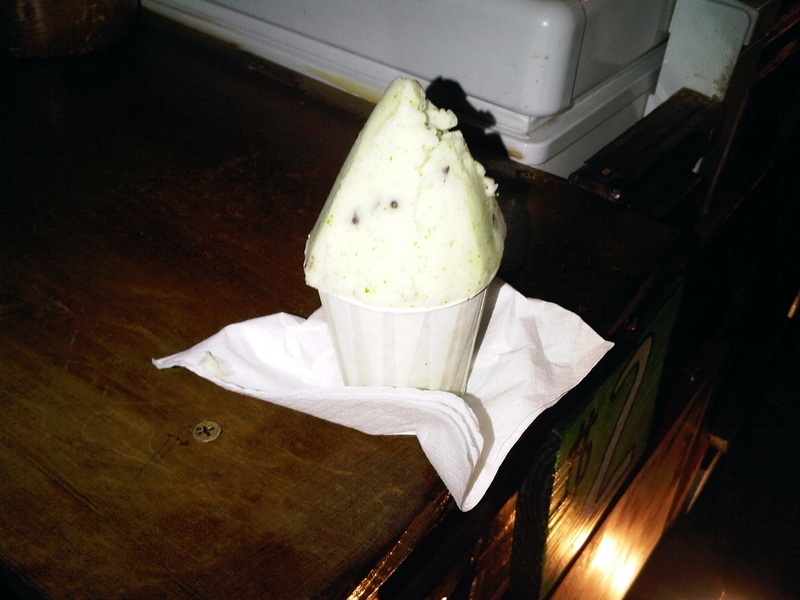 I ordered the Mint Chocolate Chip flavor, which was NOT green much to my surprise and delight! Since the Chill Stop does not use any artificial preservatives, flavors, or colorings, their mint chip ice was fresh crushed ice infused with natural pieces of spearmint leaf. It was super refreshing and tasted very clean. Without doubt has changed my perception of water ice forevermore–no more Rita’s for me! 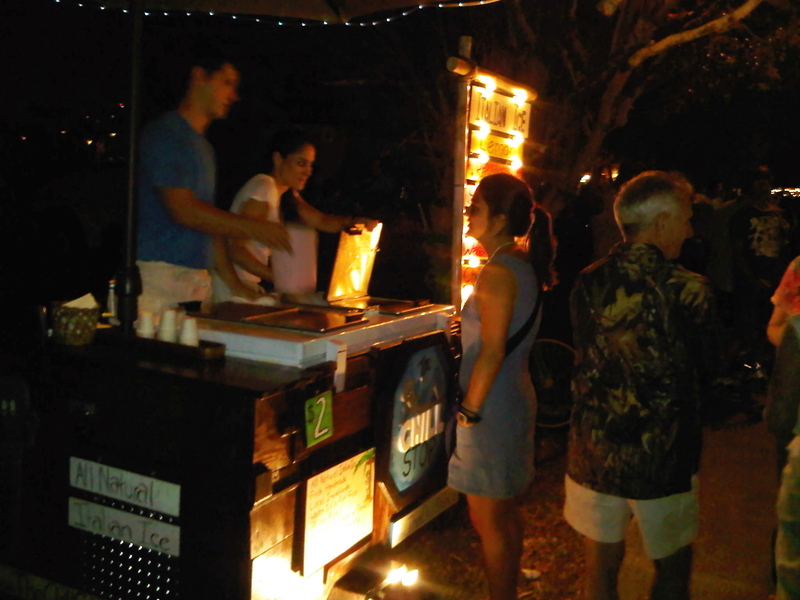 Overall, I say watch out LA because the food truck scene has taken Miami by storm and our trucks are getting it right! The crowd may be a little strange, and the neighborhood a little rough, but the food bring served up at BTTR is outrageously good. If you want to read about all of the different food trucks in Miami, I suggest that you check out BurgerBeast.com, which is a website run by a local Miami foodie. 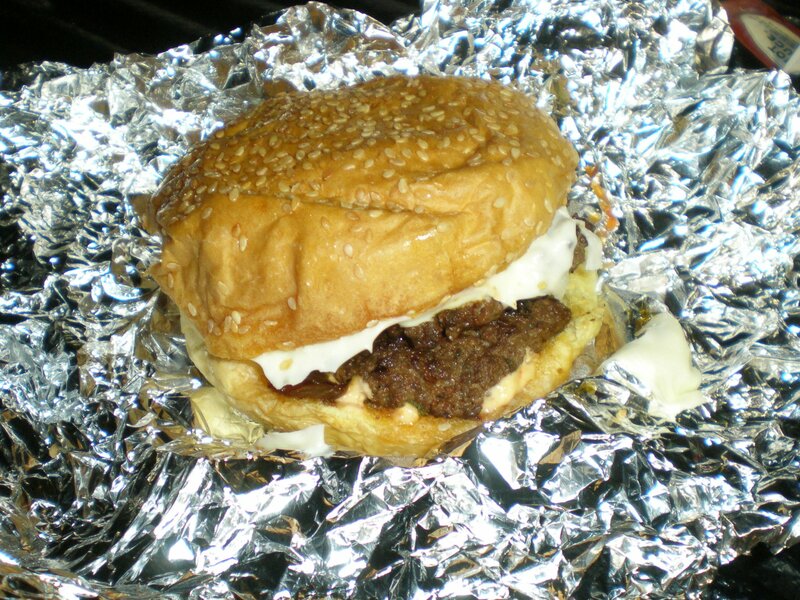 If you follow BurgerBeast on Twitter, they Tweet the food truck’s various daily locations!